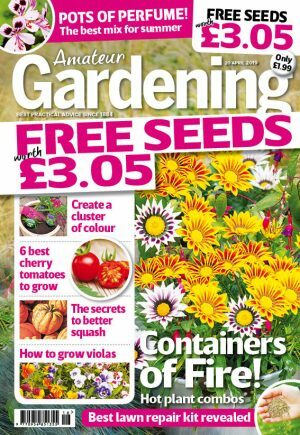 Got gaps to fill, or didn’t plant in autumn? Plant sprouted bulbs in January for a quick fix, the team at Amateur Gardening show you how. Traditionally Autumn is the time to plant out dormant spring bulbs, but if you didn’t get round to the job last year, help is now at hand. Garden centres seem to have upped their game in supplying potted, pre-sprouted bulbs in early January, that give a quick fix for borders and containers. If you are looking to add a bit of colour to the garden in early spring, hit the garden centre in January and pick up a range of seasonal bulbs, already sprouted and soon to flower. 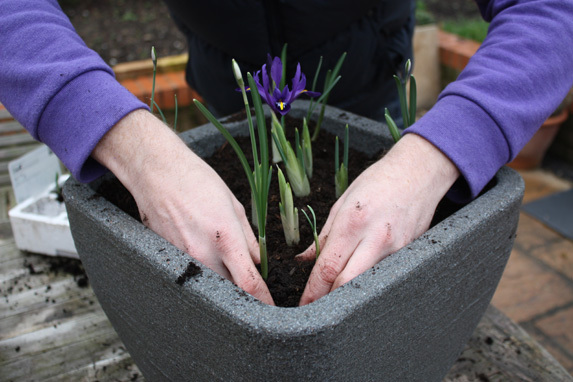 We’re using Iris ‘George Purple’ and a selction of snowdrops to plant up a seasonal container. But as long as soil is not frozen or waterlogged any sprouting spring bulbs can be placed in open ground or naturalised in lawns over the next few months. Near-fill your chosen pot with specialist bulb compost, having first set a layer of broken crocks or grit in the bottom for drainage. Firm down and level. 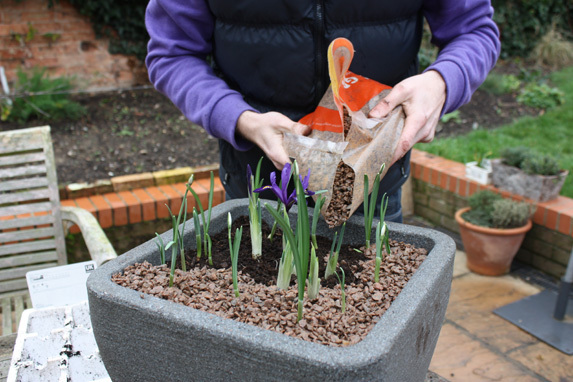 Set centre plants (in this case Iris ‘George Purple’), then add outer plants (snowdrops here) and infill around the bulbs with more bulb compost. 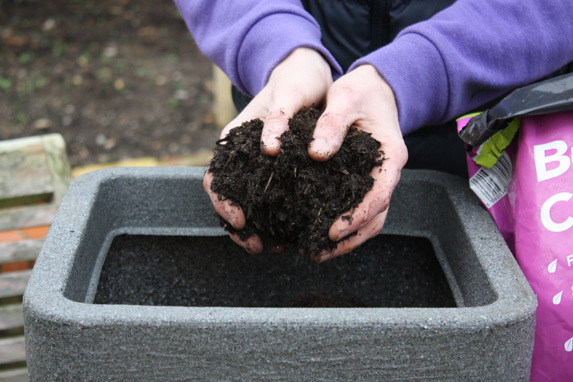 Tap the pot against a hard surface to settle things in, then add a grit mulch for improved looks and water retention. Place the pot and water in.